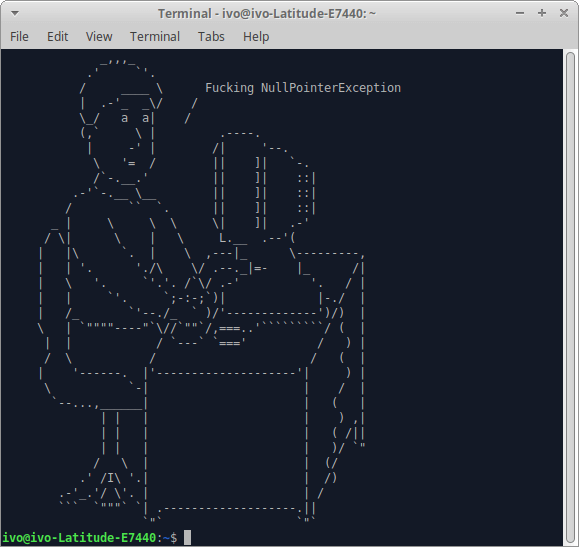 ASCII Art Splash Screen is a small tool that displays ASCII Art for users who love fun on the terminal. 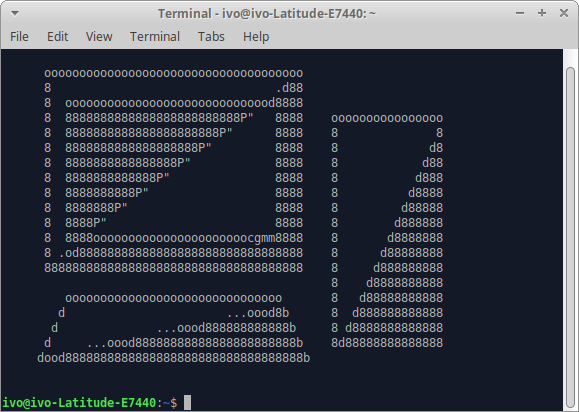 It pulls a random drawing from a repository and shows it every time you open the terminal. This looks nice, but what exactly is this type of art? It's a graphic design technique that uses computers for presentation and consists of drawing all kinds of things using one, some or all of the 95 printable symbols (from a total of 128) of the ASCII standard. This art can be created with any text editor, and in most cases requires a fixed-wide font, such as Courier, for presentation. There are some special text editors (like javE) that have the different ASCII characters assigned to the keys, to make the drawing process easier. Another way of creating this interesting type of art is using some image to text conversion software. Obviously, this method lowers the final quality of the image but makes it very simple to represent the original picture in ASCII code. An example of this type of software is picascii. 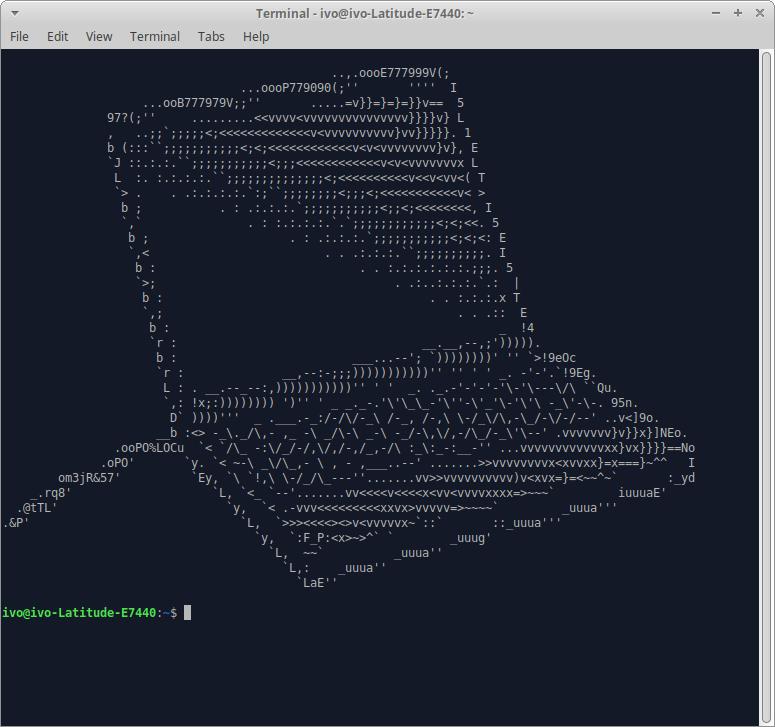 Asciimation is a nice ASCII animation interpreter for the terminal. First of all, be sure to have curl and python installed in your system. Go to the official repository and download it as a zip. Open a terminal and type cd to ensure you are in the home directory. 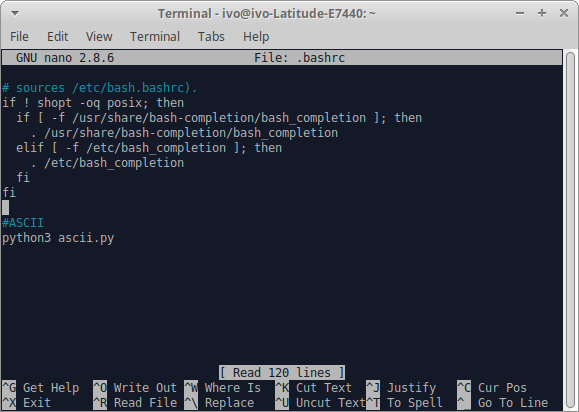 Note: If you want to uninstall, go to .bashrc file as in step 4 and remove the text pasted in step 5.